Forgot password? Not yet registered? Still haven't received email verification? 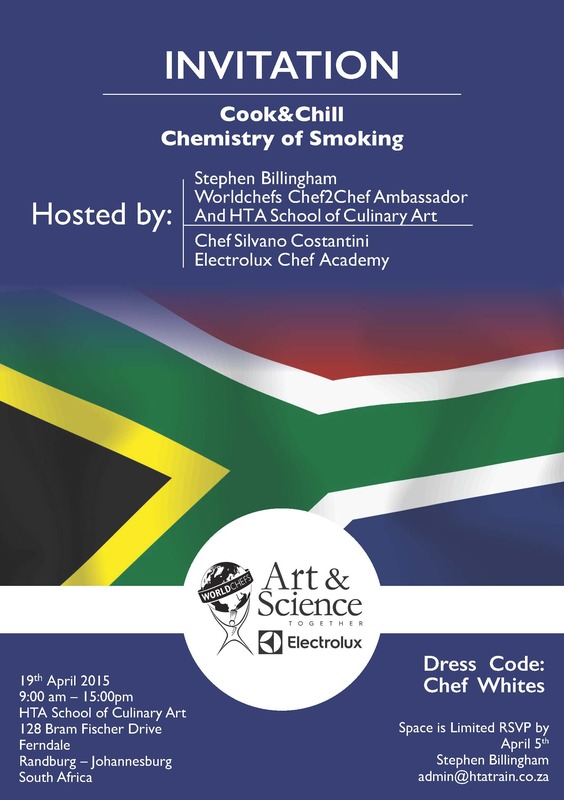 The new CookΧll seminar will take place the 19th of April 2016, at the HTA School of Culinary Art, 128 Bram Fischer Drive Ferndale, Randburg - Johannesburg South Africa . Space is limited so please RSVP by April 5th to Stephen Billingham by emailings him.